Football is a lot like life. We learn to tackle our problems, block our fears, and score points when we have opportunity. As family we “Appreciate the hard working parents who share the same values”. Help us Celebrate Parents. 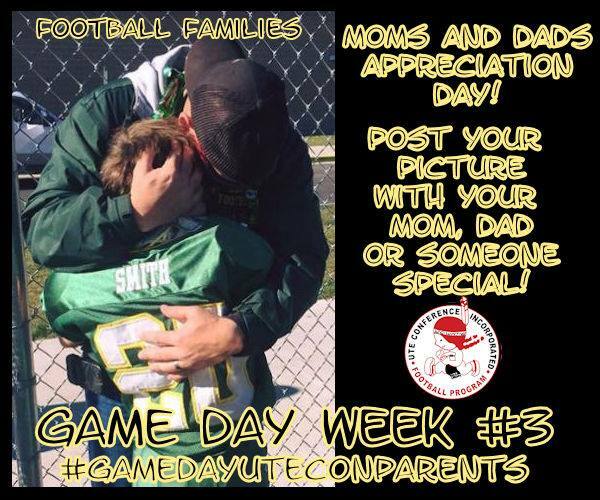 Visit our Facebook page and post pictures of you and your players and we will give away 2 $50.00 visa gift cards to a couple of families help out with dinner on one of those busy practice nights.